Established by the Merck Company Foundation, the Chair honors the legendary immunologist Maurice R. Hilleman, who developed more than 40 vaccines for some the world’s most significant diseases—measles, mumps, rubella and hepatitis A and B among them. His vaccines have virtually eradicated many childhood illnesses and saved millions of lives. 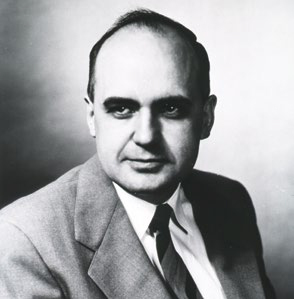 Maurice R. Hilleman, PhD, DSc (1919–2005) spent most of his career at Merck, retiring as Senior Vice President in 1984. As an adjunct faculty member in the Department of Pediatrics at the Perelman School of Medicine, he often collaborated with The Children’s Hospital of Philadelphia (CHOP) and Penn Medicine. The Hilleman Professorship is awarded to a physician-scientist making significant contributions to vaccinology who is on the faculty of the Department of Pediatrics of the Perelman School and based at CHOP. The chair is intended to accelerate the pace of vaccine research at the University of Pennsylvania. Among his achievements, Dr. Hilleman developed vaccines for chickenpox, meningitis and pneumonia and made significant discoveries regarding the cold-producing adenoviruses and the cancer-causing virus SV40. He served on numerous national and international advisory boards and committees across the academic, governmental and private spheres. Dr. Hilleman has been recognized with the National Medal of Science, the Sabin Gold Medal and Lifetime Achievement Awards and the Lasker Medical Research Award, the nation’s highest biomedical award. He was elected to the National Academy of Science and the National Academy of Medicine. In 1996, Dr. Hilleman received a special lifetime achievement award from the World Health Organization. Paul A. Offit, MD is Director of the Vaccine Education Center at The Children’s Hospital of Philadelphia as well as the Maurice R. Hilleman Professor of Vaccinology and Professor of Pediatrics at the Perelman School of Medicine. 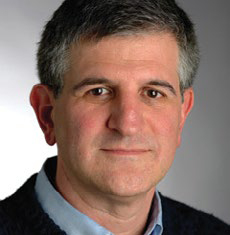 Dr. Offit is an internationally recognized expert in the fields of virology and immunology. He is the co-inventor of the rotavirus vaccine RotaTeq® that saves millions of lives annually. His many awards include the Charles Mérieux Award from the National Foundation for Infectious Diseases and the President’s Certificate for Outstanding Service from the American Academy of Pediatrics. Dr. Offit has published more than 150 papers in medical and scientific journals and is the author or co-author of books on vaccines, vaccination and antibiotics. He has courageously become one of the most public faces of the scientific consensus that vaccines have no association with autism and has served on the CDC Advisory Committee on Immunization Practices.